Hey everyone!! I haven’t really done blog posts in a while except for my giveaway. I decided to share with you all what I have been up to. 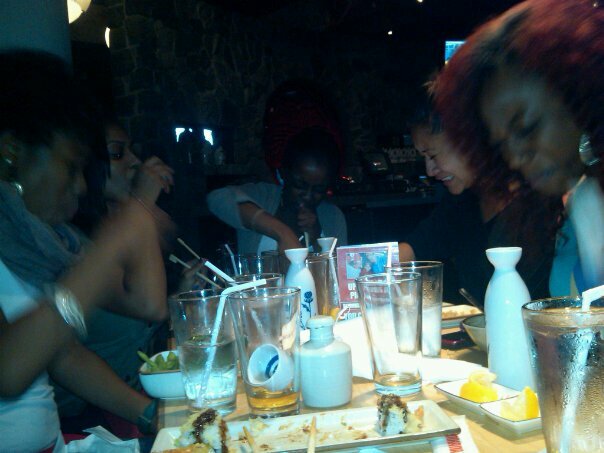 So a few weeks ago my friends and I went to Happy Hour at Benihana (My Favorite restaurant). Its the BEST place to get incredible and quality Sushi at reasonable prices. The sushi rolls are originally priced at $8 but since it is happy hour, Sunday through Thursday, select sushi rolls are half-off!! You still get 8 rolls just for a cheaper price. I LOVE IT! Well this time when we went we decided to do Saki bombs. That went great at first except for the fact that the beer went everywhere lol. 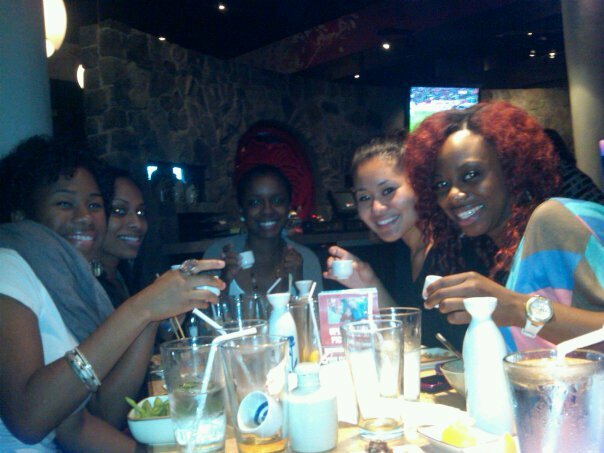 Since we had Saki left over we decided to take Saki shots…If you look at the pics above you can see how that went! A few weeks ago my family had our annual family reunion! We try and do reunions every 2 years. This year was a BLAST! 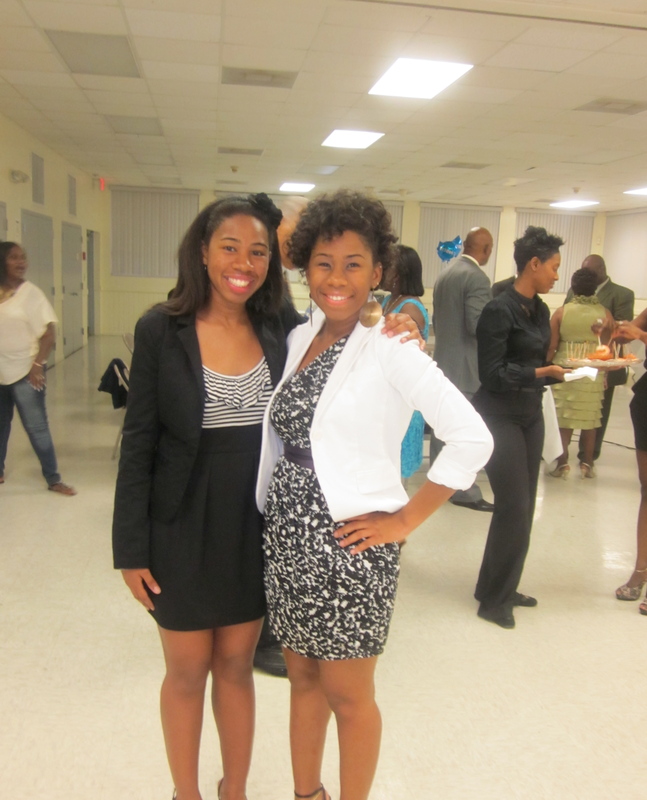 We had a cookout on a Friday night, BBQ/Game day at a park on Saturday and a banquet later on that night. It was great seeing my family, especially those who I only get to see every couple of years. Each time we have a reunion it is in a different city or state. Our next family reunion will be in Tennessee 2013. 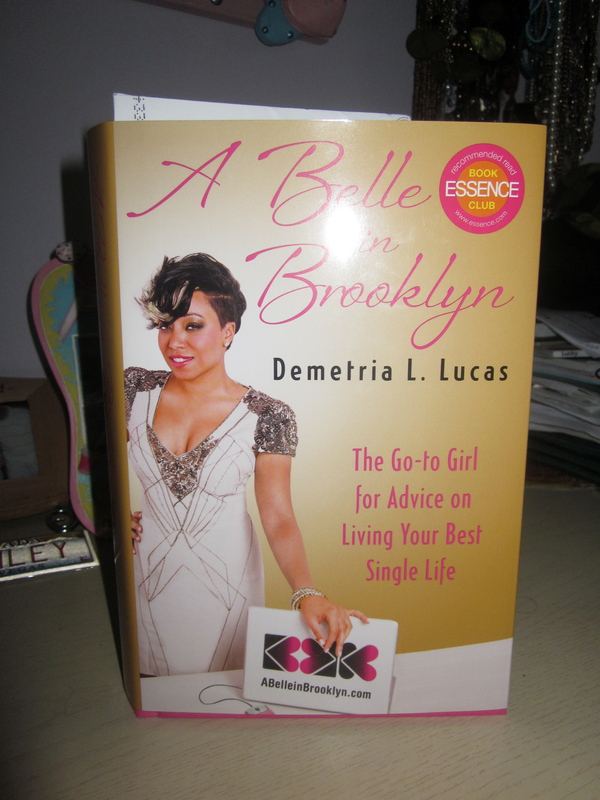 Last month I did a post about Demetria Lucas‘ first book called A Belle in Brooklyn! Well I finished it a few weeks ago and I have to say that it was a good read. I’d give it an 8 out of 10. I love the fact that she gave real life stories and great advice that many women need to read and put to use…including myself! Never stop learning. 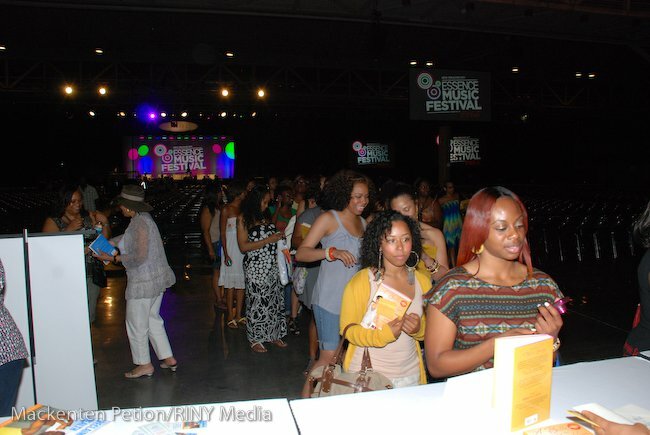 Lucas was at the Essence Festival two weeks ago and my friend actually had the pleasure of meeting her and getting her book signed. I am hoping that she comes to the South Florida area so I can have that same experience lol. We’ll see what happens. If you haven’t already purchased your book then I suggest you look into it. Borders, Amazon and Barnes and Noble always have sales so check your nearest bookstore to see who has the best deal. 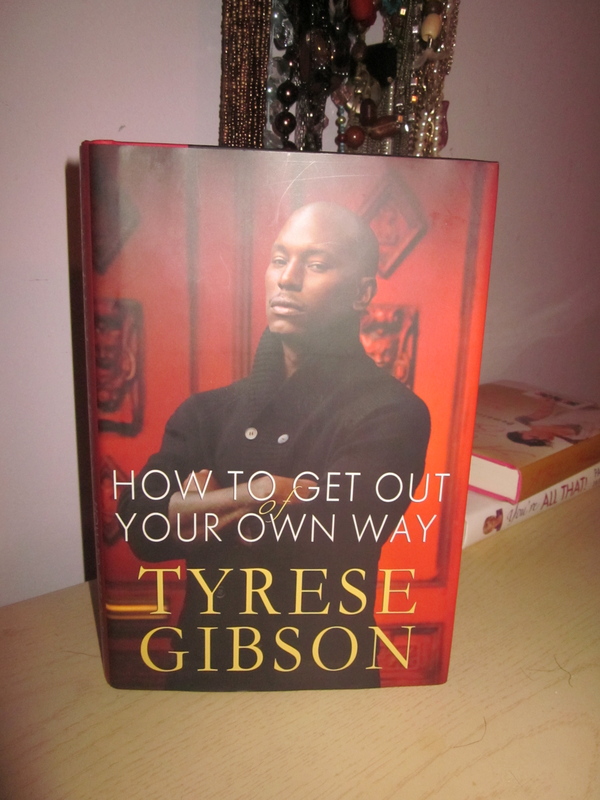 Tyrese has a new book that has been out for a couple of months now. I heard great things about this book from others that were reading it but I hadn’t gotten around to purchasing it. After watching him speak on the Monique Show two weeks ago I was Sold! The next day I went and bought the book. I started the book but I haven’t been reading it like I should be so I can’t tell you what I think so far lol. I’ll keep you posted though. Check your local bookstores for his book. Speaking of books. At the beginning of the June I entered a contest on my friend’s blog—> Racquelshenry.blogspot.com. Her blog’s main focus is on books and writing! She picked two winners, I was one of them and my prize was a book. Recently I decided on which book I wanted to read and once I receive it I will let you know more about it. 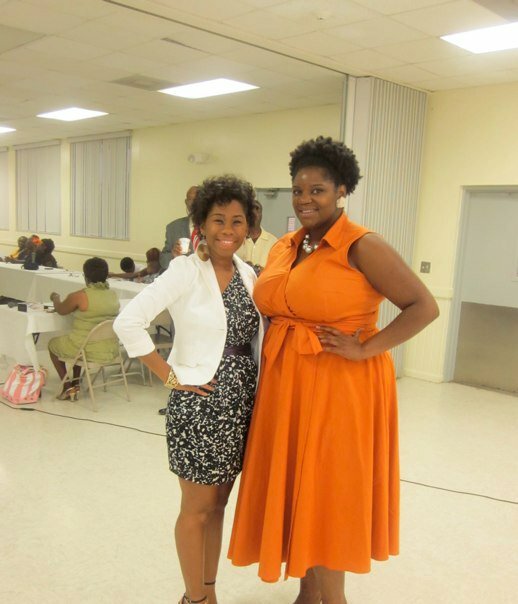 Thanks again Racquel!!! Next order of business! Who run’s the world…BEYONCE! Beyonce has been ghost for a while but now she is BACK! Her new cd titled 4 is in stores now. If you haven’t purchased it yet then you are missing OUT!! OMG! Every song is awesome. My top 5 songs on the CD would have to be End of Time (the beat is catchy), I care, 1+1, Best thing I never hadand I miss you. Those songs are in heavy rotation. The last thing I want to talk about it is the giveaway that my friend Linique (Diary of A Random Girl) and I are doing right now with Queen B’s Accessories!!! Click on the picture above and it will take you to the giveaway post. The last day to enter is this FRIDAY! I hope you all have a great night and thanks for reading!